Twan Koolen, Tomas De Boer, John Rebula, Ambarish Goswami, and Jerry E. Pratt, Capturability-Based Analysis and Control of Legged Locomotion. 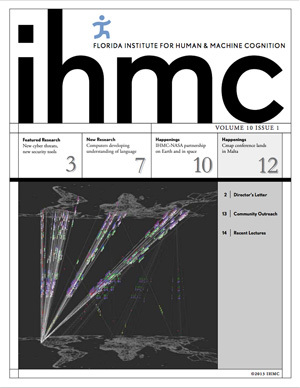 Part 1: Theory and Application to Three Simple Gait Models, International Journal of Robotics Research, August 2012. 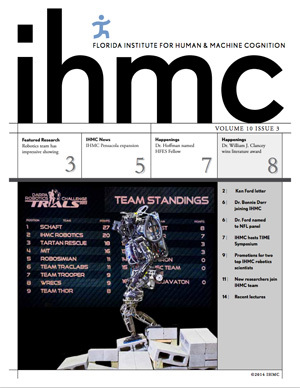 Jerry Pratt, Twan Koolen, Tomas De Boer, John Rebula, Sebastien Cotton, John Carff, Matthew Johnson, and Peter Neuhaus, Capturability-Based Analysis and Control of Legged Locomotion, Part 2: Application to M2V2, a Lower-Body Humanoid, International Journal of Robotics Research, September 2012. Sebastien Cotton, Ionut Olaru, Matthew Bellman, Tim van der Ven, Johnny Godowski, and Jerry Pratt, FastRunner: A Fast, Efficient and Robust Bipedal Robot, Concept and Planar Simulation, Proceedings of the 2012 IEEE International Conference on Robotics and Automation (ICRA 2012), St. Paul, Minnesota. 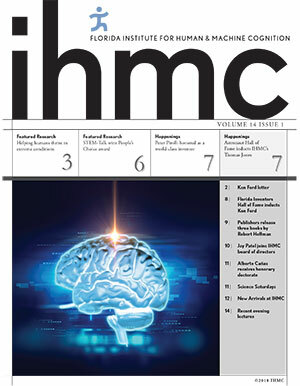 Peter D. Neuhaus, Jerryll H. Noorden, Travis J. Craig, Tecalote Torres, Justin Kirschbaum, Jerry E. Pratt, Design and Evaluation of Mina a Robotic Orthosis for Paraplegics, Proceedings of the 2011 International Conference on Rehabilitation Robotics (ICORR 2011), Zurich, Switzerland. 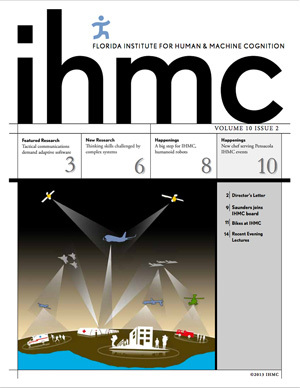 Peter D. Neuhaus, Jerry E. Pratt, and Matthew J. Johnson, Comprehensive summary of the Institute for Human and Machine Cognition’s experience with LittleDog, The International Journal Of Robotics Research, vol. 30, no. 2, pp. 216-235, February 2011. 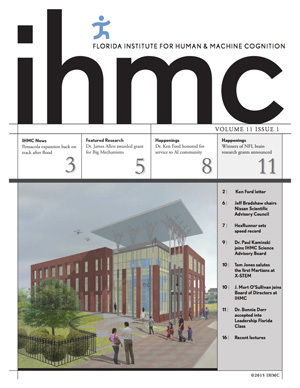 Jerry E. Pratt, Peter Neuhaus, Matthew Johnson, John Carff, Ben Krupp, Towards Humanoid Robots for Operations in Complex Urban Environments, Proceedings of the 2010 SPIE. John Carff, Matthew Johnson, Eman M. El-Sheikh, and Jerry E. Pratt, 2009, Human-Robot Team Navigation in Visually Complex Environments, Proceedings of the 2009IEEE International Conference on Intelligent Robots and Systems (IROS ’09), St. Louis, MO. 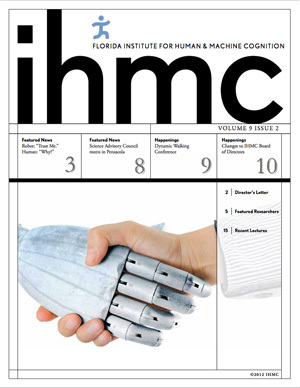 Hian Kai Kwa, Jerryll H. Noorden, Matthew Missel, Travis Craig, Jerry E. Pratt, Peter D. Neuhaus, Development of the IHMC Mobility Assist Exoskeleton, Proceedings of the 2009 IEEE International Conference on Robotics and Automation, (ICRA ’09), Kobe, Japan. John Rebula, Fabian Canas, Jerry Pratt, Ambarish Goswami, Learning Capture Points for Humanoid Push Recovery, Proceedings of the 2007 IEEE-RAS International Conference on Humanoid Robots, November 29-December 1, 2006, Pittsburgh, Pennsylvania. John Rebula, Peter Neuhaus, Brian Bonnlander, Matthew Johnson, Jerry Pratt, A Controller for the LittleDog Quadruped Walking on Rough Terrain, Proceedings of the 2007 IEEE International Conference on Robotics and Automation, (ICRA ’07), Rome, Italy, pp. 1467-1473. Jerry Pratt, John Carff, Sergey Drakunov, and Ambarish Goswami, 2006. Capture Point: A Step toward Humanoid Push Recovery. Proceedings of the 2006 IEEE-RAS International Conference on Humanoid Robots, December 4-6, 2006, Genoa, Italy, pp. 200-207. Jerry E. Pratt and Russ Tedrake, 2006. Velocity Based Stability Margins for Fast Bipedal Walking, Presented at the First Ruperto Carola Symposium in the International Science Forum of the University of Heidelberg entitled “Fast Motions in Biomechanics and Robots“, September 7-9, 2005, Heidelberg Germany. Jerry E. Pratt, Benjamin T. Krupp, Christopher J. Morse, and Steven H. Collins, 2004. The RoboKnee: An Exoskeleton for Enhancing Strength and Endurance During Walking. Proceedings of the 2004 IEEE International Conference on Robotics and Automation (ICRA ’04), New Orleans, LA, 2430-2435. Peter D. Neuhaus, Michael O’Sullivan, David Eaton, John Carff, and Jerry E. Pratt, 2004. Concept Designs for Underwater Swimming Exoskeletons. Proceedings of the 2004 IEEE International Conference on Robotics and Automation (ICRA ’04), New Orleans, LA, 4893-4898. Jerry E. Pratt and Benjamin T. Krupp, 2004. Series Elastic Actuators for Legged Robots. Proceedings of the 2004 SPIE. D. J. Paluska and J. E. Pratt, 2003. 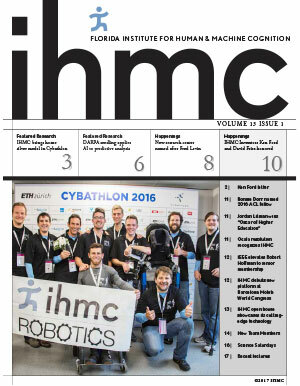 Bipedal Walking Robots in Biomimetic Robotics, Brezeal, C. and Yoseph Bar-Cohen, Ed., SPIE Press, 228-252. Jerry Pratt. 2002. Bipedal Walking Robots: Advancing the Science through Killer Applications, Replication and Validation, Standards and Common Platforms, and Competition. Proceedings of the 2002 FIRA Robot World Congress, Seoul, Korea, May 26-29, 2002. pp. 111-114. Jerry E. Pratt, Chee-Meng Chew, Ann Torres, Peter Dilworth, Gill Pratt, 2001. 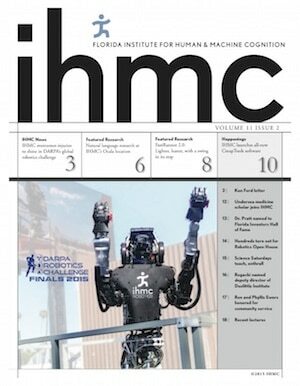 Virtual Model Control: An Intuitive Approach for Bipedal Locomotion. International Journal of Robotics Research, 20:(2), 129-143. Chee-Meng Chew, Jerry E. Pratt, Gill A. Pratt. 1999. Blind Walking of a Planar Bipedal Robot on Sloped Terrain. Proceedings of IEEE International Conference on Robotics and Automation (ICRA ’99), Detroit, Michigan. David W. Robinson, Jerry E. Pratt, Daniel J. Paluska, Gill A. Pratt. 1999. Series Elastic Actuator Development for a Biomimetic Walking Robot. IEEE/ASME International Conference on Advanced Intelligent Mechatronics, Sept. 19-22, 1999. Atlanta, GA.
Pratt, J., Pratt, G. 1998. Exploiting Natural Dynamics in the Control of a Planar Bipedal Walking Robot. Proceedings of the Thirty-Sixth Annual Allerton Conference on Communication, Control, and Computing, Monticello, IL, September 1998. Pratt, J., Pratt, G. 1998. Intuitive Control of a Planar Bipedal Walking Robot Proceedings of the IEEE International Conference on Robotics and Automation (ICRA ’98), Leuven, Belgium 1998. Pratt, J., Dilworth, P., Pratt, G. 1997. Virtual Model Control of a Bipedal Walking Robot Proceedings of the IEEE International Conference on Robotics and Automations (ICRA ’97), Albuquerque, NM. 1997. Pratt, J. Virtual Model Control of a Biped Walking Robot , M.Eng. Thesis, Department of Electrical Engineering and Computer Science, Massachusetts Institute of Technology, Cambridge, Massachusetts, 1995. Pratt, J., Torres, A., Dilworth, P., Pratt, G. 1996. Virtual Actuator Control Proceedings of the IEEE International Conference on Intelligent Robots and Systems (IROS ’96), Osaka, Japan. Pratt, Williamson, Dilworth, Pratt, Ulland, Wright 1995. Stiffness Isn’t Everything Proceedings of ISER ’95, Stanford CA.